The simple answer; Yes. Having an SSL certificate on your site is crucial, both for user experience and for SEO purposes. In fact, the two go hand-in-hand. Google is constantly rolling out algorithms to better enhance the user experience, which is why website security has become increasingly important this year. 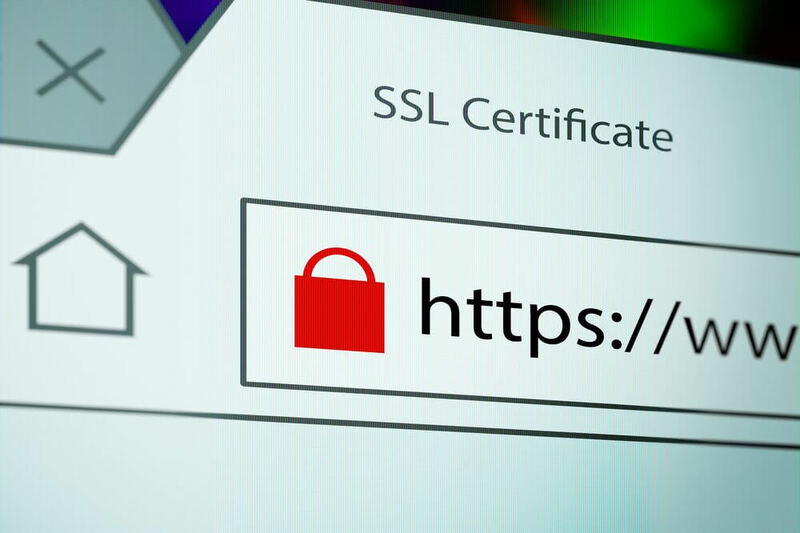 Keep reading to learn what an SSL certificate is, and why it’s essential to have one. An SSL certificate protects data that is entered into your site, specifically credit card information or social security numbers, by encrypting it. This converts the data into a code to prevent unauthorized access. This gives you, and your potential customers/leads, peace of mind knowing that secure information won’t be getting in the wrong hands. Google has now made it clear that all data that is being entered into a site should be secure. On sites that don’t have a secure HTTPS extension, Google Chrome will display the URL as “not secure.” This can have detrimental effects on your website traffic, as the average user doesn’t understand why it’s not secure. This can make people hesitant to enter any information on your site, and may even cause them to leave immediately. By installing an SSL certificate, this will now say “secure,” making them more likely to fill out a form on your site or make a purchase. Adding an SSL certificate to your site gives credibility to your site, instilling trust in your users. In addition to the importance of protecting secure information, SSL certificates are also a necessity because of Google’s new algorithm that rolled out earlier this year. Regardless of what type of information your site collects, having an SSL certificate is now important for all sites. Google uses HTTPS as a ranking factor, flagging websites that are not secure. SSL certificates can be purchased through most hosting providers. Once the SSL is installed, you’ll need to implement a redirect so that HTTP pages are automatically redirected to the HTTPS version. You’ll also need to add the SSL version of your site as a property within Google Search Console. For more information on installing your SSL certificate, check out our previous post. To learn more about securing your website with an SSL certificate, contact the SEO experts at Boston Web Marketing! Our team can help improve your online presence through on-site and off-site SEO, reputation management, social media management, and more. Fill out an online contact form or give us a call today at 857-526-0096!